As the name implies. Bowling with a centerfire or .22 cal handgun. You will be paired up with a random partner to clear the tables of Bowling Pins in the fastest time. The teams that clear the table first are the winners. Dates: Third Friday night of each month. We work on shooting skills and holster drawing skills to help each competitor to be able to shoot a handgun in a fast paced environment. Each month we change the course of fire. Bring a friend to this very popular event. 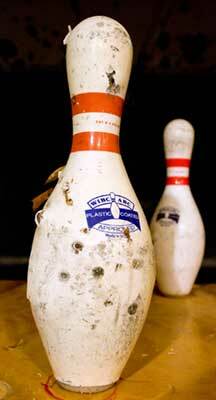 Bowling pin shooting teach you fast firearm control and quick sight focus. Reloading skills can be challenged as the course of fire can be changed to include forced magazine changes. 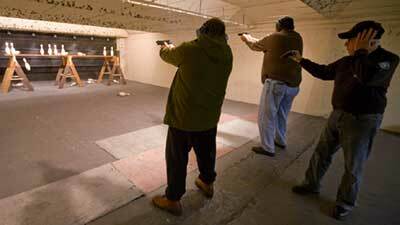 $5 for shooting and Pizza.